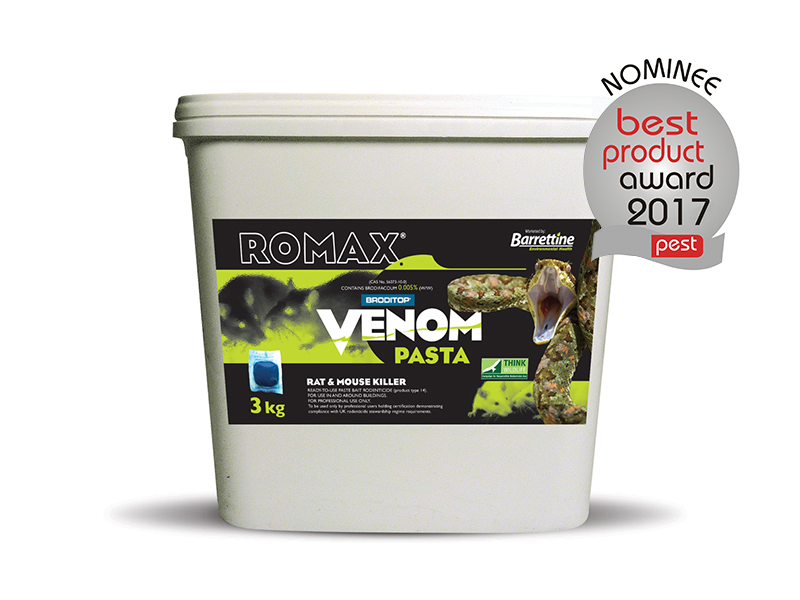 The Romax Venom formulation of brodifacoum made with Italian pasta is presented in sachets that can be attached or skewered within the bait box. 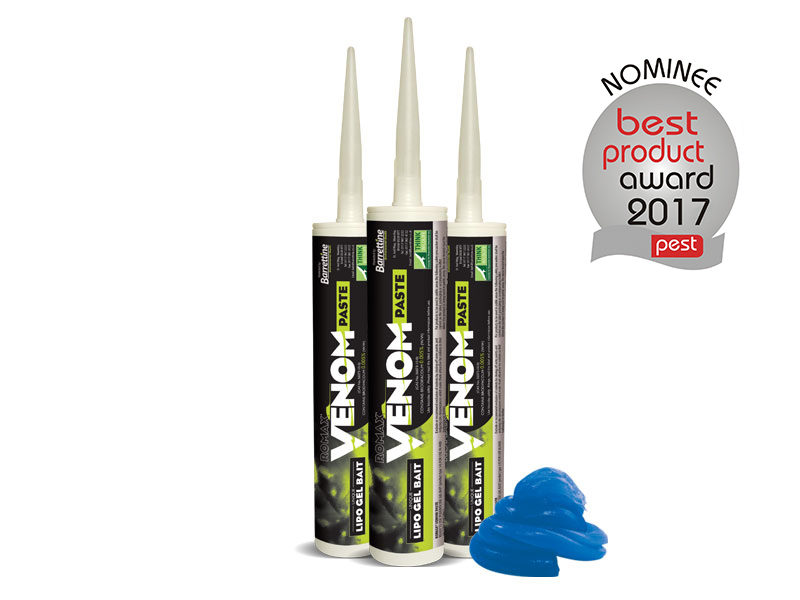 Approved for use ‘in and around buildings’ for rats and mice. 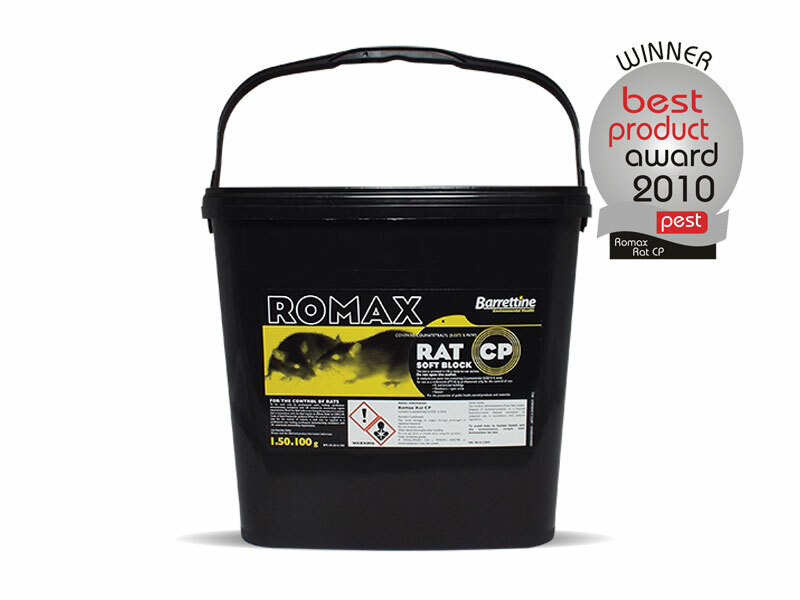 When using rodenticides refer to the CRRU Code of Best Practice. 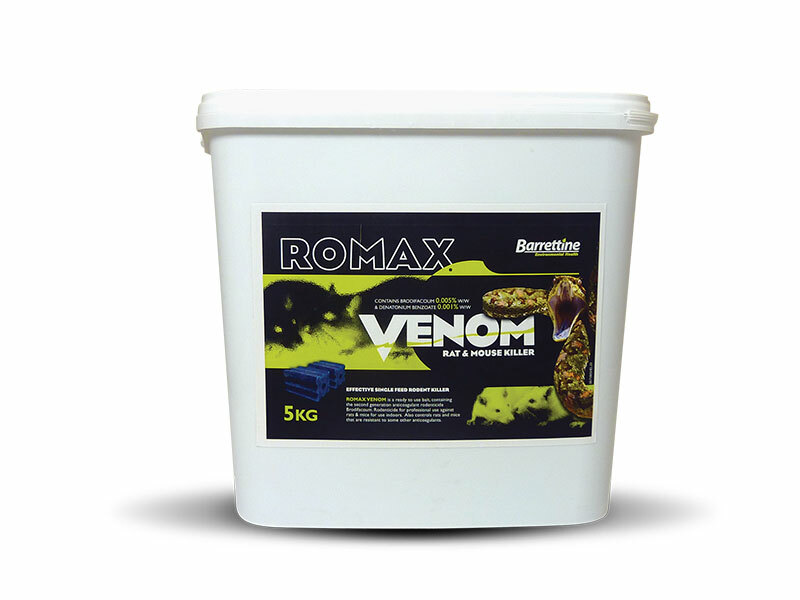 Protect bait points from non-target animals and from water, preferably using commercially available bait stations. Where these are not available place the bait inside pieces of drainage pipe or under sections of slate, board or corrugated iron, suitably weighted. Make frequent inspections of the bait points during the first 10-14 days and replace any bait that has been eaten by rodents or has been damaged by water or contaminated by dirt. If all the bait has been eaten from certain areas, increase the quantity of bait by placing more bait points. Do not increase the bait point size. Precautions should be taken to prevent domestic animals and children from having access to the bait. 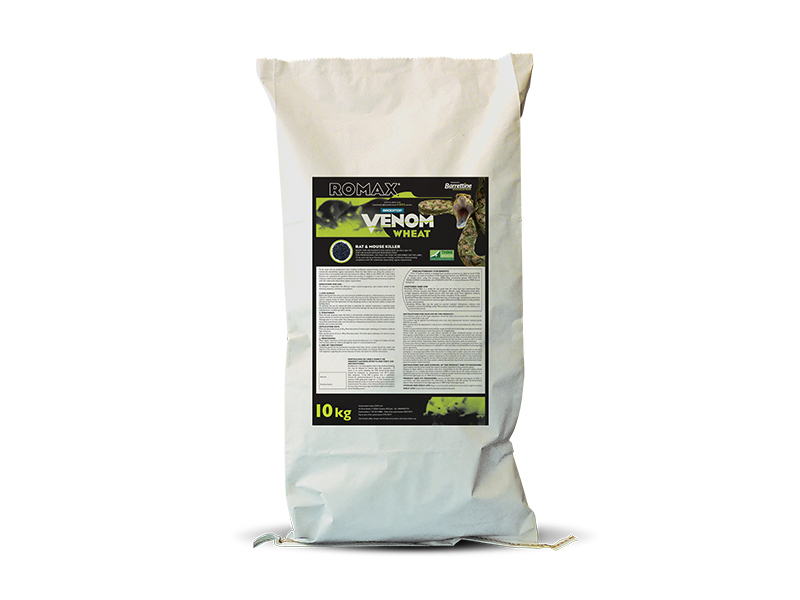 The resistance status of the rodent population should be taken into account when considering the choice of rodenticide to be used.